You don’t have to eat plain and simple just because you are camping! If you have a sweet tooth or can’t live without pizza, there is an answer for your cravings in the great outdoors. All you need is a few simple tools, a good grocery store run, and an appetite! (And maybe a new rv for sale from Campbell RV to enjoy it in?) Here is a quick list of basics and our top three favorite campfire meal recipes (with dessert) for yummy goodness in the great outdoors. Nothing tastes better than a great campfire meal! All you need for this yummy, sweet breakfast are those wooden bbq skewers you bought and packed before your trip and a can of cinnamon rolls. (They really need to be the larger ones that you can unroll.) Break open the can and pull apart each cinnamon roll. 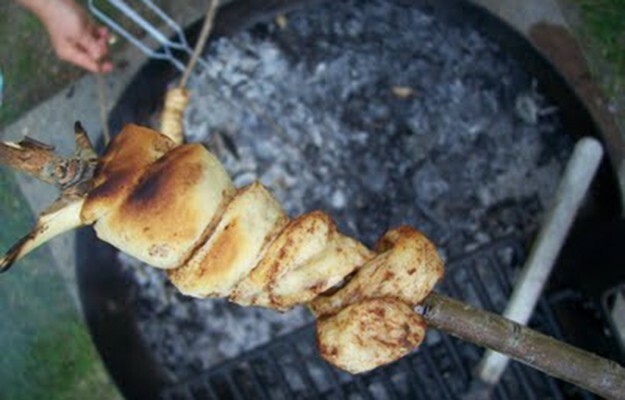 Instead of nicely placing them in a baking dish as you would at home, wrap them around those handy wooden bbq skewers and stick them over the fire. Rotate as you cook for about 3-4 minutes. Once they are done, lightly drizzle with the included glaze and you have a yummy breakfast everyone will love! Rise and shine with these simple campfire cinnamon rolls! What? Pizza while you are camping? YES! The kids will love this one. You will need your sandwich irons, some cooking spray, ready-made pizza crust dough, pizza sauce, cheese and any other topping you enjoy. When you unroll the pizza crust, cut it into four long rectangle pieces. Make sure you spray your sandwich iron and then place each strip half in and half out of the iron. (You will need the other half to fold over your toppings!) Let everyone put their sauce, cheese and favorite toppings on the dough and fold over the other half and close your sandwich iron. Cook over the first for 5-10 minutes making sure to rotate your iron so all sides get cooked. Pop that pizza out of the iron when cooked thoroughly and enjoy! All you need is a sandwich iron to cook your campfire pizza! Hot dogs and burgers over the fire are great, but if you are on an extended trip, you might feel the need to switch it up a bit. (Or you just really want a yummy sandwich!) All you will need for this campfire meal are your cheese steak fixings, a large loaf of your favorite crusty bread and some of that handy tin foil. Grab a large piece of tin foil and your loaf of bread. Slice the bread horizontally (but not quite all the way through on the bottom so your toppings don’t fall out) and stuff it with cheese, roast beef, onions and peppers. 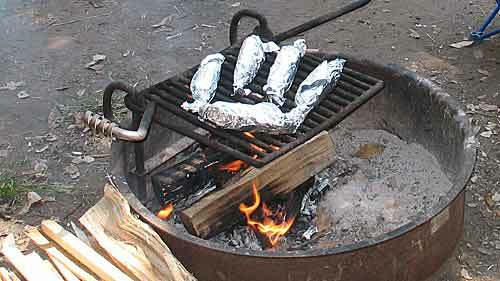 Wrap the whole loaf of yummy goodness in foil and place near the hot coals of your fire, but not directly in it. Quick tip: Spray your tin foil before you wrap so your cheese doesn’t stick to it. 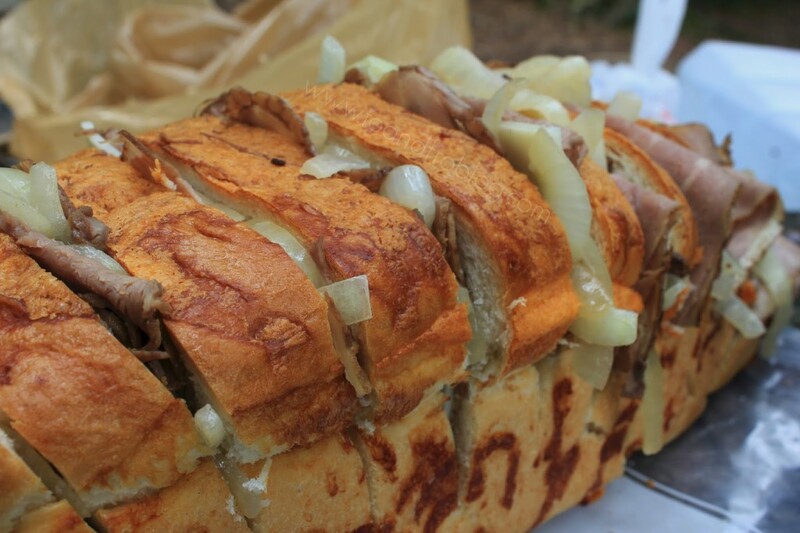 All in all it should take about 30 minutes to melt into a fantastic cheese steak sandwich. Pull apart this yummy cheese steak and enjoy. You can’t really go without dessert, can you? And you deserve it after a long day of activities in the great outdoors. Here is a new twist on s’mores. Probably just as messy and definitely just and scrumptious. All you need for this one is your cast iron skillet and your s’more supplies. Line the bottom of your skillet with the chocolate. (Chocolate bars or chocolate chips both work just fine) After you lay down the chocolate, place your marshmallows on top. Yep, that easy. 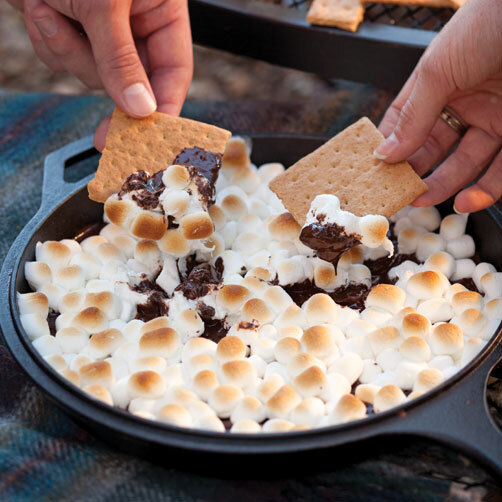 Place the skillet over the fire until your marshmallows and chocolate are melted. Grab those graham crackers and dig into the melted goodness you have created. Divine. Wrap up a fun filled day with this delicious dessert! Well, there you have it! 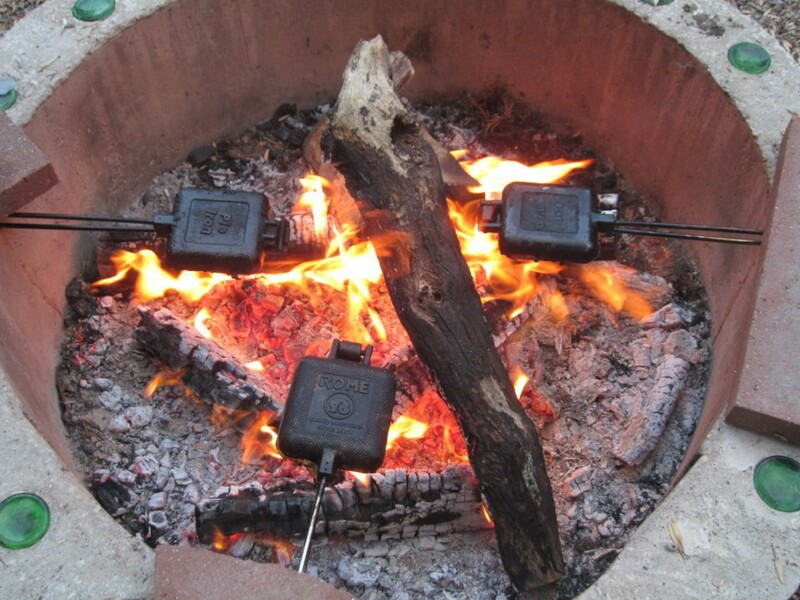 Those are Campbell RV’s favorite recipes for campfire cooking. Do these meals sound more delicious if you were to head out for your next trip in a new rv? Don’t worry. We can help with that too. Contact us or come on over and any of our knowledgeable staff will be sure to get you in the right camper for sale so you can do some serious campfire cooking. Happy camp cooking!